Is this a foreign-borne illness? Does it exist elsewhere? 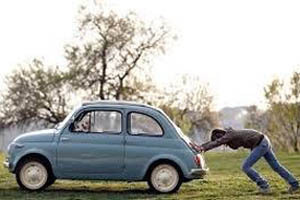 Why do some catch it and others do not? Is it flu? Who remembers 30 years ago when I gave you a cure-all based on native grown plants? Lots of questions but it all boils down to a VIRUS not a BACTERIUM. There are no pharmaceuticals that can cure a virus. Bacteria-yes, but not a virus. Speaking of viruses you will find that they are specific in what they attack. In this case of the Hundred Day Cough, it is in the bronchial/lung organs. You can feel it throbbing, wheezing, and just can’t breath properly. The longer you wait the worse it gets, that is until the virus usually dies out after a hundred days. But there is no immunity built up, or so it seems. Essentially this is an IMMUNE SYSTEM disorder created by a run down, over extended, fast paced life style. Maybe you are just sick, nutritionally deprived from junk food and/or out of shape. The immune system is your protector from all the “bad bugs” out there in the real world. You have to take care of your body. Think about EBOLA, which attacks weak immune systems. The Hundred Day Cough is not that bad, being a different virus, but it further weakens the body organs and allows other worse viruses to get a toe hold on you and develop death or at best: misery. I first heard about the Hundred Day Cough while in Arizona sixty years back. Being a dusty State the viruses apparently were carried by the dust. The southwest still has a major problem with dust and from what I read-the Hundred Day Cough. Although dust motes inside a house for those without vacuum cleaners and scrub-a-dub habits can contribute too. City air is contaminated with all sorts of dust, dirt, people shuffling about, bumping shoulder, coughing, hacking, waving handkerchiefs around like flags: most likely spreading the virus-just like in a EBOLA end of the earth science fiction movie. When I was just a 4th grade boy in Connecticut, I was sent home with the teachers note that I had Whooping Cough. No way said the Navy Doctor but he had no cure. He opined living in Florida would be beneficial. So off we went. The cough quit albeit from a hundred days elapsing, or maybe the air. I was more active with scouting, swimming and outdoor activities. Great for the immune system, and this was before junk food. Of course being a sailor and out to sea for years there was no dust. Certainly there were no dust motes, as we were all diligently scrub-a-dubbing. To treat your Hundred Day Cough you have two methods of relief. 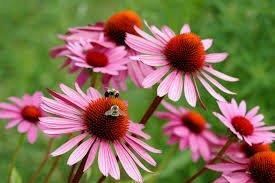 (1) Is to harvest the plant: Echinacea. This is a daisy looking plant that is best grown in your garden as some government brain dead bureaucrat decided it was harmful to the cattle industry. Mass extinction. Needless to say it is, and its varieties are mostly on the endangered list. So buy some seeds from Horizonherbs.com and follow directions. You can let the flowers go to seed and have more to plant. You can harvest the flower heads, the stems, and the roots, place them in a quart of Vodka and let it age for a year until it turns really black. Now it is full strength. Echinacea itself is for general immune building but for a real boost when you are sick and miserable you might try a more condensed version called” ECHINAMIDE. This is a more processed herbal derived from the Echinacea plant. 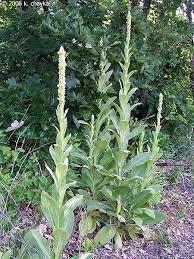 Now we must gather the second herb, the magnificent MULLEIN plant. It appears mostly wild on rocky ledges and sides of rocky hillsides. Tall, perhaps six feet or more in its second year it will have a shaft of yellow flowers, which of course turn to seeds. You can gather this plant-be careful on the rocks- and use the flowers, stalk, and roots in the old Vodka Bottle. If you do not want to wait a couple years you can buy a tincture bottle as above. This herb clears the bronchial tubes, lungs and makes breathing better as the bronchitis fades away. Now the elixir is best mixed together. Take three droppers full of Echinamide and squirt it into a double shot glass. Next add the Mullein extract, probably purchased as above in the same volume. Stir and toss it down as an adult. With children use a water base. It tastes yucky but the results are SPECTACULAR. Voila! You are relieved. Perhaps if you are really run down you may take a lesser dose when needed. This ought to clear you up for a good nights rest and scrub-a-dub in the morning. 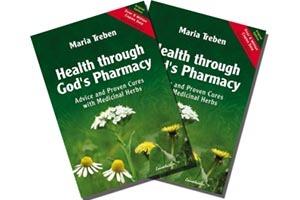 In Germany where the medical profession (Commission E) will prescribe herbs first they use a text you can buy from Amazon.com or some bookstore. 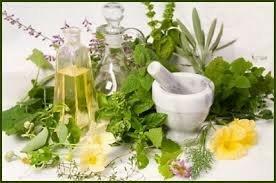 This is titled “PDR of Medicinal Herbs”. The text lists all the approved herbs and data you will find useful. These two herbs we have been writing about are listed as safe and of course, recommended. God Bless the beauty of nature and its healing properties. COPYRIGHT: 12/26/2014, Back2totheLand.com all rights reserved.